At the time when the French Voyageurs were exploring this area, they traded with the Chippewas, or Ojibway, Indians. The Indians had many trails, one of which ran from Crow Wing on the Mississippi to Vineland and Kathio near Mille Lacs, ft went between Sullivan and Platte Lakes. There were camps on both lakes from which the Indians hunted, trapped, fished and riced in season. There were many burial sites in the area between the lakes. Some of the sites that were dug up later became illegal stills for bootleggers. Other trails were along rivers. The Ojibway Pekushino Sibi, meaning ‘’made by man or bear laying down” was renamed the Platte river by early French traders, meaning “Flat River”. Another area river, the Skunk, had the Indian name of “Shingwakozowe Sibi”, meaning” Pine Tree River”. 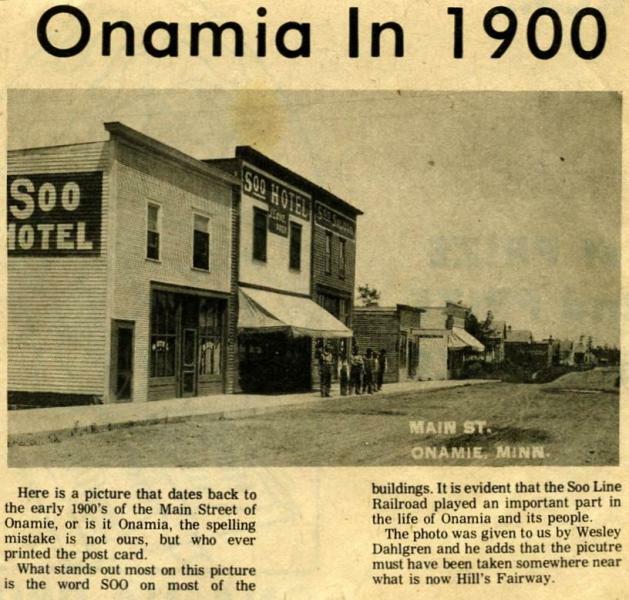 In 1853, the first commercial logging was done in the area. The first organized log drive on the Platte was supervised by C. Axtei for the firm Dagget & Neckson. Other early lumbermen were N. P. Clarke, James Muncy, C. B. Buckman, Chas. Gravel & Goulet Bros., E. G. Hill, John Gwost, W. T. Lambert, Gil Hanson and Wes Day. Logs were floated down the Platte to mills at Gravelville, Royalton, Langoia, Sarteli or Minneapolis. The last organized drive was in 1900 By James Gody & Wm. Taylor for Akeley Lumber Co. Dead heads were found in the river for years. 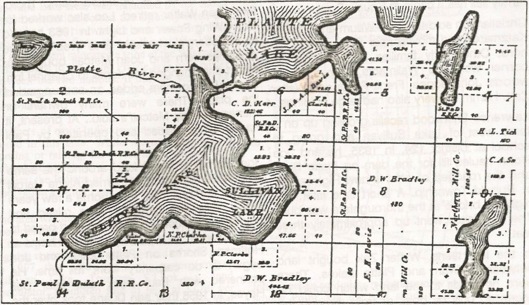 In 1884, Deputy Surveyor Oscar E. Garrison platted the area around Suliivan Lake. By 1892, large landowners were the St. Paul & Duluth Railroad Company (later Northern Pacific), N. P. Clarke, Goolef Bros. & Gravel. In the early 1800’s, most of Minnesota, including the Mille Lacs area, was inhabited by the Sioux Nation. As settlers forced the Ojibway west, the two tribes were in warfare over territory. The fighting was so fierce that in the middle 1800’s the government relocated a tribe of the Wisconsin Winnebagos to the Long Prairie area as a buffer between the two nations. It did not work. The Winnebagos were soon sent up to the White Earth reservation. Artifacts of early Indian settlements have been found in this area. While the males were out hunting or raiding, the wives and children were left behind to fish, or rice in season. After several treaties, the Indians of this area were sent to the reservation at Mille Lac. The eastern part of Sullivan Lake is in Section 7 of Richardson Township. 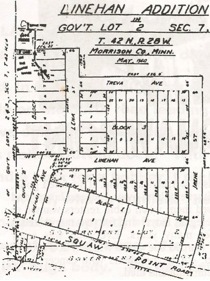 In 1914, John and Irene Linehan bought the north half of the section, while Tom E. Wolfenden bought the south half. Linehan had some of his land platted with the intention of making a town. These dreams never materialized, although at one time there was a Post Office. When the Post Office in Hillman was built, this building was taken down by Eric Janson and used in the Benson cabin, now owned by Mike Jasper. John Linehan sold plots in the area now known as Squaw Point. On the east shore he built and operated Camp Linehan, a resort and jump-off spot by boat to various parts of the lake. 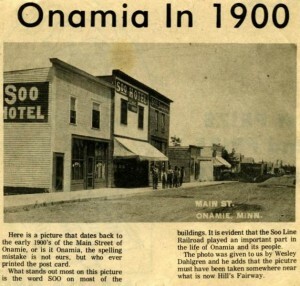 During World War I, the operation of the resort was turned over to his cousin. Bell E. Wildowson. After the war he took the management back. In 1923 he sold to Geo. Bartholdt and Martin Freegan, who in 1928 were foreclosed, and the resort went back to Linehan. John died in 1932, and for five years Irene ran the resort. In 1937, Irene sold 12 acres (the present village property) to Ed and Lena Linehan who were the first to use the name of Squaw Point Resort. Ed was the adopted son of John and Irene. Ed’s wife Lena was a marvelous cook and an excellent manager. Ed was the figurehead and promoter. He was pianist and wrote several songs about Squaw Point which were found in the piano bench. I here are stories of midnight launch rides on the lake with the piano for song and fun. His brochures were full of what a great resort he had. He made signs similar to the ‘Burma Shave’ signs, and had them put up between the Twin Cities to the resort. In 1960, Ed sold the resort to Ray and Irene Branstad. In 1966. the property was sold to Marv and Pat Meyer. They improved the grounds adding the dining room, a bar and gift shop They added to the main home as well and built five winterized cabins. In 1975. a group consisting of: Jim and Sandra Carson, Dorance and Marianne Drengson, Aaron and Alice Eiesland and Fred and Linda Eiesland bought and improved the resort. They started Squaw Point Village in 1981. He advertised horseback riding. It sounded good, but in reality, neighbors owned several horses and Ed borrowed them when cabin renters wanted to ride. One elegant lady came for two months each summer for many years. Everyone was sorry when they learned she was a Madam at a brothel in Chicago. – After problems with cancer. Lena caught pneumonia and died. The village was approved by the Morrison County Board as a Cluster Development, the first in the County. Each unit is privately owned with common sewage, water and recreational areas. Rules and regulations guide each owner as to future development. By the mid 1980’s, most of the units had been fixed up and sold. 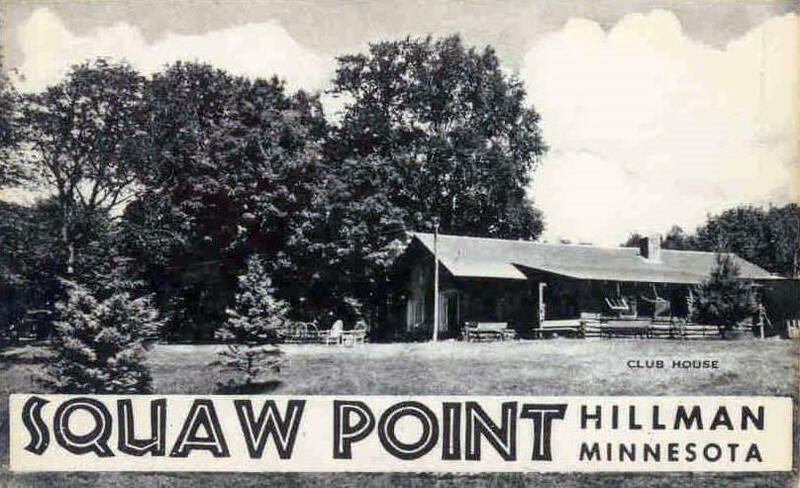 Click on the image to view the Squaw Point Resort brochure from the 1940’s. Information for above came from: Squaw Point Village booklet by Wanda Fellman; ‘The Land Called Morrison’ by Herold Fisher; also Bill Krafve, Marge Benson Wright, Marianne Drengson, members of the Zak, Haugen, Jasper and Preimesberger families; Morrison County Library and Carnegie Library’. Click here to view the Squaw Point on Lake Sullivan promotion brochure. After the turn of the century, when logging slowed down, land was sold to smaller investors. In the northwest corner of Sullivan Lake, Ole and Alice Cook Christianson had a farm. In the winter of 1908-1909, a young schoolteacher, Emma Moe, stayed with the Christianson’s while she taught at District 124 south of Round Lake. She recalled many fires that season. She married a Haugen and the family still has a cabin at Squaw Point. Christianson sold to Avery Weum and Pauline Katzmarek and moved near Richardson Corners. Other early families in the northwest corner were the Wallmarks, Cooks, Sherwoods, John Hoppe, Frank Ralfor and Walter Zak. Hamm Brewery also had large holdings. Lawrence Sherwood recalls growing up on a farm west of Lake Sullivan and going to school at District 124. 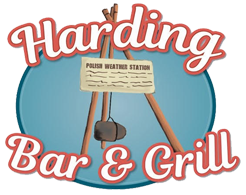 In 1935, he and Joe Hohn hauled fill for the dam on Platte River and the roadbed of what is now Highway 51 in Pulaski Township. A short time later, the highway bridge at the thoroughfare was built. The two lakes went up approximately three feet. In the late teens, Walter Zak bought land between Sullivan and Platte Lakes. There were no roads to the land which could be accessed only by boat, or trails through the woods, which the Zak children used to go to the District 88A school. Linehan’s, Bowen’s and Lowery,s resorts on Sullivan, and a resort on Platte Lake had docks which people on the other side of the lake could use. After the road was put through in 1935, Walter Zak built Camp Thorofare on Platte Lake. The Zak children were musically inclined. Leo, Peter, Louise and Josephine played at the local dance halls. Another brother, Al, usually played solo. Louise Zak married Andy Thommes, a long time Lastrup butter maker. Josephine married Clarence Kainz who farmed near Harding and worked for Consolidated Telephone Company. Pete and Cathy Zak managed most of Walter’s land after Walter retired. He bought and sold various plots and lived near Richardson Corners. He perfected a way to clean wild rice and became a rice buyer in this area. Zak property on Sullivan Lake include the South View and Thomas Shore areas. The latter was named after Ken and Virginia Thomas who bought in 1957. Ken was a contractor in the Minnetonka area. 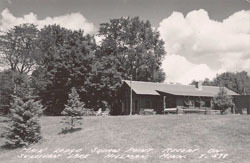 Leo and Louise Zak operated Camp Thorofare when Walter retired. Leo also worked for Crow Wing Power and Light. In 1953 he sold to Roseberg’s who sold it to Treb’s. In the seventies Vern and Joan Metcalf bought the resort and changed the name to Channel Inn. Each of the owners added on and upgraded the place. There were many owners or managers after Metcalf’s sold.. At present, it has been upgraded and operated by Paul and Karen Litke. Joe Hoffman bought land around the same time Walter Zak did. He married Alvina Marcel in 1923 and built their farm home a few years later. While Joe farmed, Alvina raised and sold farm products and home baked bread to lake residents. 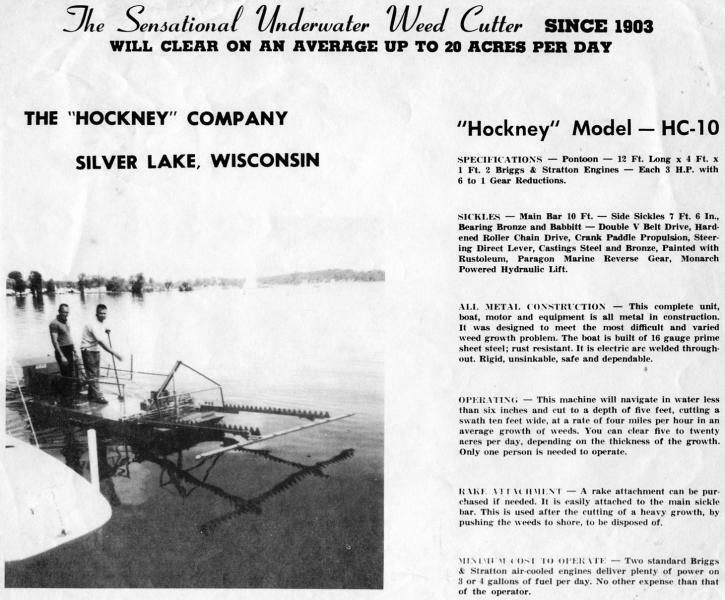 In 1956 they built their home at Hoffman Shores on Platte Lake and Joe began to do carpentry work full time. He partnered with Paul Beck and later Dell Hayes. In 1956 their son Duane took over the farm and later went into the gravel and excavation business. Another son, Al, did a lot of cement work in the lake area. Credits for this information go to Larry Sherwood, the Christianson, Haugen, Zak and Hoffman families. Also the Morrison County Historical Society.